April Phillips spoke on 'Food Cities' with Jacob Voit of the Bush Foundation. The talk was positioned from a consumer-based approach (that is, people need to know where our food comes from, and if its good for us; we all like food; we all have food journeys) and she suggested that "inviting the cultivation of food back into cities" was part of sustainability. I liked her re-quote of Jamie Oliver's "food is a gateway drug to sustainability", suggesting that via food issues we can educate on the spectrum of environmental issues. The talk also briefly touch on elements of a food system, some obvious (production, distribution) and others more intriguing (education). Mia Lehrer's panel on 'Cultivating Spaces' also began with a focus on the consumer (liveability in cities, building community) but featured more radical thinking on the topic. 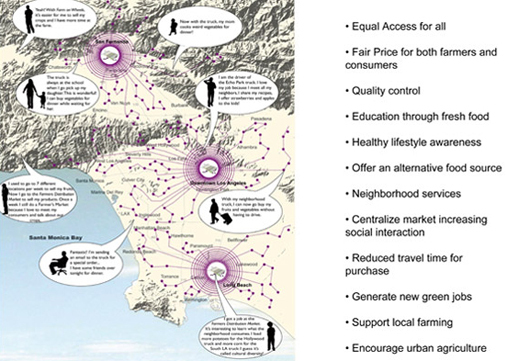 She suggested agriculture as territory within the city, and discussed her work mapping Los Angeles to understand the potential scales of commercial farming in the city. One of the most compelling ideas was decommissioning golf courses for food production - she points out that only 1.4% of L.A.'s population plays golf, yet there are at least five courses in city limits. Maya Dunne focused on health aspects of food and open space, and discussed her work on Orange County Great Park, a 1,400 acre public park with 114 acres dedicated to agriculture. 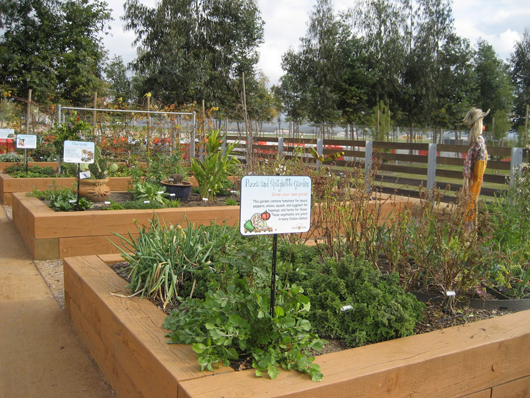 In particular the 'Farm Food Lab' at Great Park provides a great precedent - master gardener demonstration plots next to community gardens, creating a space for knowledge transfer. Charles Cross discussed urban farming in Detroit as part of the panel, and the specific history of the city that has resulted in both so much need, and opportunity, to address food access and security. He showed many great projects including the Peacemaker Garden (a small farm run inside the shells of former buildings), Recovery Park and Catherine Ferguson Academy. He also showed slides of Lafayette Community Garden, a public park (sponsored by a corporation) with food gardens managed by volunteers, and harvests donated to food banks. 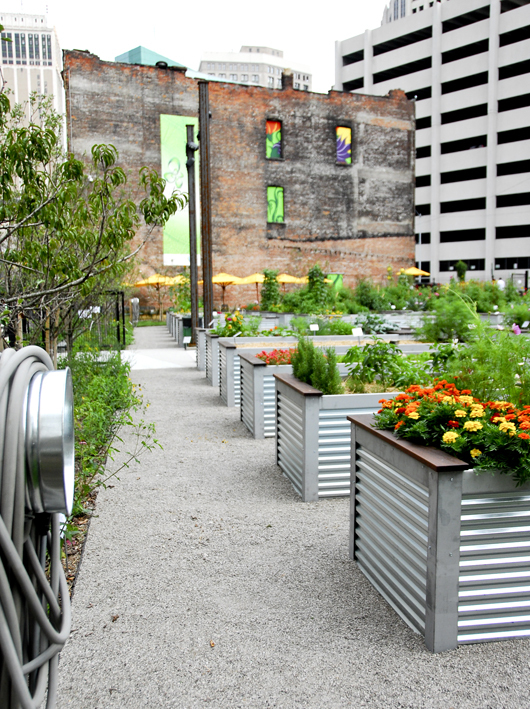 The garden was designed by Kenneth Weikel Landscape Architects, and demonstrates the way design and agriculture can be integrated to create a larger landscape and suggest new forms, which can be especially important in urban areas. The formation of agriculture expressions within the city, the way culture and farming collide on metropolitan ground is a very exciting potential for the field of landscape architecture. The final panelist on 'Cultivating Spaces' was Barbara Finnin, of City Slicker Farms in Oakland, CA and she focused on "place-based health disparities" and her organization's work in running 6 market farms in the disadvantaged area of West Oakland. 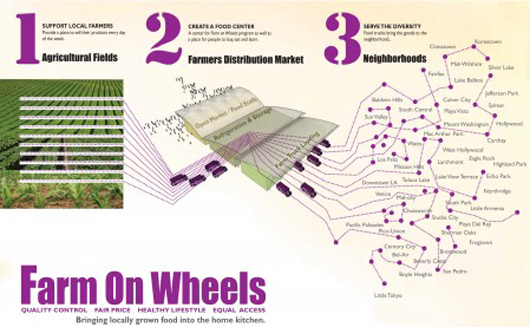 The market farm sites total 24,000 sf (just over half an acre) currently and produce 10,000 lbs of food annually which is sold at sliding scale to their neighborhoods at farm stands. They also have begun a backyard farm program, helping people with yards install their own gardens, and that project produces an estimated 24,000 lbs of food annually. 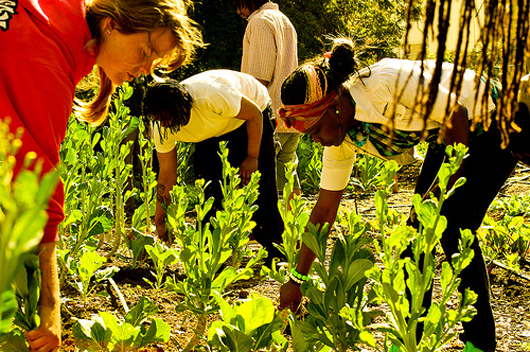 This organization represents a really strong case study in the potentials of small-scale, disperse urban agriculture to address community food needs. It also represents the flip side to the Lafayette Community Gardens, where without corporate sponsorship there is may be no money for 'extras' like design fees. 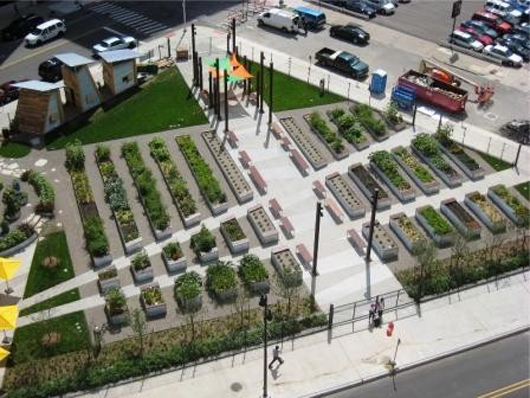 All of which begs the question, what is the role of the landscape architect in urban agriculture projects? 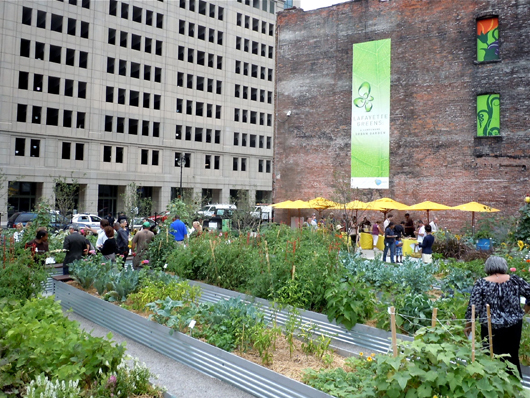 Much of the conversation about food systems is policy centric, but the work of landscape architects is form-based, physical, tied to the land. The keynote panel addressed the topic of 'Shaping The ... City" and some of their thoughts are instructive here. Laurie Olin's suggestion that designers don't create change (it comes from the people) but give form to change, and that cities are cultural landscapes suggests a collaborative approach. Martha Shwartz's observation that "what is new in cities" is that they (we) face limited global resources, points us towards a humbler aesthetic, while her stance that there are not enough big ideas reminds us not to settle. Maurice Cox posited that the strength of designers, their special skill set, is imagining a new future when others can't, and imagining it in concrete terms that help others envision (and embrace) alternative futures rather than fear change. 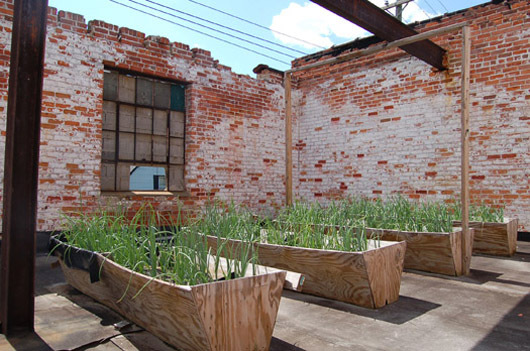 Would love to hear your thoughts on the role of landscape professionals in the urban agriculture movement - purely aesthetic, planning, visioning, or simple advocacy? Leave a comment!